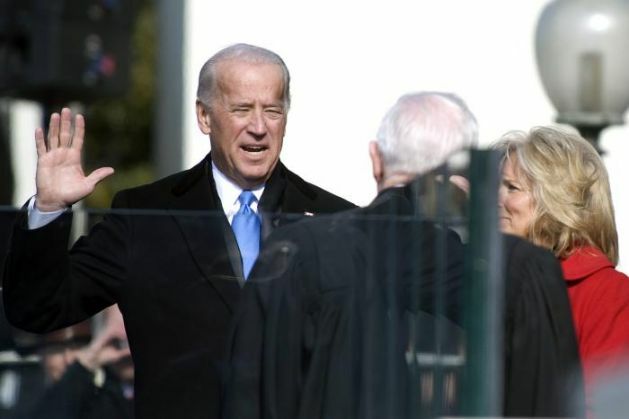 After Hillary Clinton and Bernie Sanders challenged Vice-President Joe Biden to make his nominations to the presidential race during the democratic debate, new reports have emerged about Biden's confirmation for the same. As per reports, a US lawmaker has stated that Vice President Joe Biden will run for presidency, even as the White House remained tight lipped about it except for saying that an announcement on the decision is coming soon." I have a very good source close to Joe Biden that tells me VP Biden will run for president," Congressman Brendan Boyle said on Twitter yesterday. The White House indicated on Monday that a decision on this might be coming soon. "I think the laws of physics will require that this is a decision that would be announced relatively soon because the date of these contests is coming up. But for the precise date, that's something that only the Vice President knows," the White House Press Secretary, Josh Earnest, told reporters at his daily news conference.